Zipidy Do Dog Resort is our NEW LOCATION! Dogs that need overnight care will be house at our new location which is formerly Raven Ridge Dog Boarding. We have renovated the facility by refinishing the floors, painting, added doors to each kennel instead of gates, lined the kennel walls with more durable materials, improved the indoor play areas with new rubber flooring, and gave the place our own personal touches. Dogs that stay overnight at our Resort location will be able to get out of their kennels for a majority of the day and socialize with our staff and other dogs. We separate dogs based on their size and personalities. We have two indoor play areas, three outdoor play areas, and four individual outdoor runs. We rotate dogs around from our indoor and outdoors play areas. We let the small dogs all interact with each other in one of our indoor play rooms and we rotate groups of the larger dogs in and out of our other indoor play area. We have groups of more playful/energetic dogs that socialize with each other, and groups of more quiet/relaxed dogs to lounge with each other. If dogs are not comfortable or safe being in a group with other dogs, we have individual outdoor runs where they can still get out of their kennels and get some interactions with staff. We prefer that you bring your dog’s own food so they stick to their consistent diet but if you do not bring their own food we feed the WELLNESS brand food and charge $1/cup. 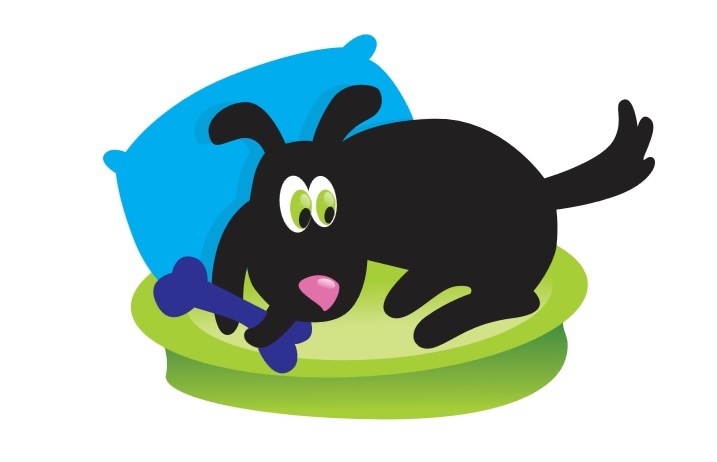 We have cots and blankets that we can provide for your dog(s) or you are welcome to bring your own bedding from home. You are also welcome to bring toys and treats for your dog but they will only be given when your dog is in their own kennel, not while they are in a group with other dogs. We give each dog small, complimentary milk bones 1-2 times a day and we also have Bully Sticks, Pigs Ears, and peanut butter Kongs, for sale at our Resort location. We have another excellent solution to take care of your dog’s overnight needs while you are gone! Does your dog dislike being kenneled? Can you trust your dog unattended at home? We can shuttle your dog back and forth from your home and our Resort while you are gone. We will pick up your dog every morning, feed breakfast, and let your dog have a great day participating in our dog daycare program. At the end of the day we will feed your dog dinner then shuttle your dog back home to settle down in the comfort of their own bed! This is ideal for adult dogs that are trusted to be unattended at home while you are gone. Overnight care w/ Shuttle Prices Vary: Please contact us to get a quote.